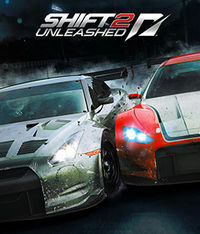 SHIFT 2 Unleashed, also known as Need for Speed: SHIFT 2 Unleashed is the upcoming 17th installment in the long-running Need for Speed series of racing games, under development by Slightly Mad Studios and published by Electronic Arts. It is the direct sequel to 2009's Need for Speed SHIFT and will expand on the gameplay and features of the original. It will also include the Autolog feature first introduced in Need for Speed Hot Pursuit 2010. The game is scheduled for release on 29th March 2011 in North America and 31st March 2011 in Europe. A preview trailer of SHIFT 2 Unleashed was present as a bonus in Hot Pursuit 2010.